Why a Tchoukball Beach Festival ? Chiara Volonte is a Physical Education teacher at the high school level and she also teaches at the University in Kinesiology. 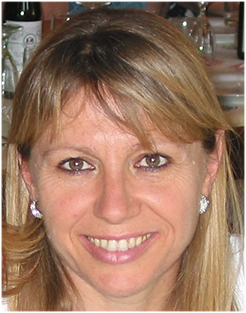 She is the founder and President of the Italian Tchoukball Federation (FTBI), and Vice-President of the International Federation of Tchoukball (FITB). Chiara also is a member of Panathlon International. In 2003 she organized the first European Tchoukball Championship. In 2011, she and her team organized the World Tchoukball Championship in Ferrara, Italy. She also is the initiator and organizer of Tchoukball Beach Festival in Rimini Italy, which is the biggest world Tchoukball event. In this interview Chiara tells us how she discovered Tchoukball and why she wanted to introduce it in Italy. She also explains how she came up with the Tchoukball Beach Festival idea, and then she talks about the structure of Tchoukball in Italy, such as leagues and tournaments. She also explains what does it means “Tchoukball a sport for all” for her, and describes how she started her project of Wheelchair Tchoukball. She also shares her experiences in promoting the game in Italy. Next episode: René Minten Physical Educator teacher of Belgium. Watch this video to see Tchoukball at the competitive level. You can watch the video podcast (in French with English subtitles) below or on Tchoukball USA Channel. Michel Favre is the co-inventor of Tchoukball. 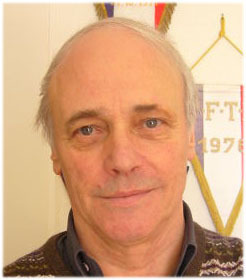 He had the good fortune to meet Dr. Hermann Brandt, and worked with him to establish the game, brainstormed and helped write the Tchoukball Charter. Michel actually is retired and lives in Cernier, Switzerland. He is certified as an National football (soccer) instructor by the Federal School of Macolin. He trained young football talents before moving to Tchoukball. He also trained numerous Tchoukball players in Cernier, some of whom were picked up to be part of the Swiss National teams. However, Michel has always been interested in doing a good and appropriate training, and this is how he met Dr. Hermann Brandt, the inventor of Tchoukball. In this interview, Michel explains how he met Dr. Hermann Brandt, how Hermann invented Tchoukball, and how the Tchoukball Charter was set up. He also explains how he was able to promote the game in Switzerland when Dr. Hermann Brandt passed away, and how the game spread out nationally and internationally with the help of John Andrews. Michel also describes why and how the sport has been promoted in more than 30 countries around the world. Michel takes also this opportunity to send a message to the Tchoukball community, which according to him is important in order to keep the spirit of the game alive. Next episode: Chiara Volonte, President of the Italian Tchoukball Federation (FTBI), and Vice-President of the International Tchoukball Federation (FITB).